A pair of gig economy companies face fresh lawsuits in California under a new test for worker classification, and they may be a sign of more to come. The state supreme court adopted a new test in April that makes it harder for companies to classify workers as independent contractors. The ABC test the court adopted in the case between parcel delivery company Dynamex Operations West and a group of drivers presumes employee status unless a company can prove three factors. “With the ABC test there will definitely be more litigation filed in California,” Todd Lebowitz, a partner in Baker & Hostetler LLP’s Cleveland office, told Bloomberg Law. And it isn’t just app-based gig economy businesses that are likely to see more workers challenging their classification as independent contractors, Rebecca Smith told Bloomberg Law. “The new test is such a strong clarification of what the law is and what these companies’ relationships to their workers are that we can expect to see more litigation not just in the on-demand economy but for janitors, truckers, home health aides, and other workers who are frequently misclassified,” Smith said. “This change in how the law is interpreted puts to rest a lot of those disputes in favor of the workers.” Smith is the Seattle-based director of workforce structures for worker advocacy organization National Employment Law Project. While the ABC test may have a broad effect across California industries, as with many things today, gig economy companies find themselves in the early spotlight. In a pair of recent lawsuits, workers for Postmates Inc. and Lyft Inc. are seeking employee-level wages and reimbursement for business expenses. Dora Lee, a food and merchandise courier for Postmates, and Matthew Talbot and Monica Garcia, who drove for Lyft, filed the cases claiming the companies didn’t pay wages and overtime they would be entitled to if they had been correctly classified as employees. Liss-Riordan also is reasserting the case of a former GrubHub driver who lost at trial just a few weeks before the California high court changed the test. To prove independent contractor status under the ABC test, companies have to show (A) the worker has freedom from control over how to perform the service, (B) the service is outside the business’s normal variety, and (C) the worker is engaged in an independently established role. The ABC test replaced the previous “Borello” test, which was named for the case in which the state supreme court adopted it. Borello directed courts in California to weigh about a dozen factors, none of which was dispositive. Postmates didn’t respond to a request for comment. Lyft declined to comment. Both companies previously have settled lawsuits filed by Liss-Riordan and her firm, Lichten and Liss-Riordan P.C. in Boston, alleging they misclassified workers. Postmates received final court approval April 25 for an $8.75 million settlement with couriers. Lyft received final approval for a $27 million settlement with drivers in 2017. Neither settlement included an agreement by the company to change how it classified workers. The new lawsuits against Postmates and Lyft challenge an aspect of worker classification that the supreme court didn’t address when it adopted the ABC test. In addition to claims for wages and overtime, the workers say the company should have reimbursed them for business expenses. The Dynamex drivers raised business expense claims under section 2802 of the state labor code in a lower court, but not on appeal to the supreme court. “Accordingly, that issue is not before us and we express no view on that question,” the supreme court said in the April 30 ruling. 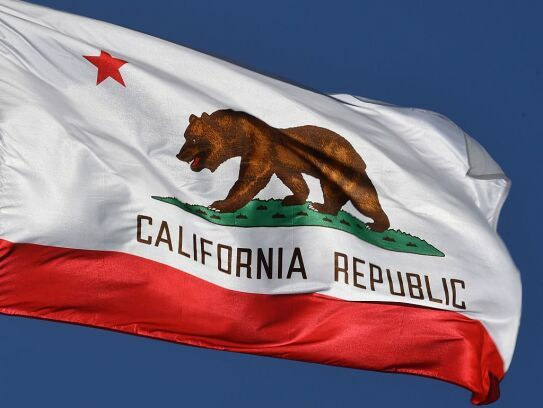 The supreme court decision to adopt the ABC test with respect to wages but not expense reimbursement puts California businesses in a difficult position, Danielle Lackey said. Lackey is general counsel of Motus LLC, a Boston-based company that helps businesses comply with reimbursement requirements. “I think what it’s going to come down to for businesses is a weighing of risk,” she told Bloomberg Law. “Your choices are either you call everyone an independent contractor, knowing that if they sue you one by one you’re likely violating the wage portion under the ABC test but you’re satisfying Borello under 2802, or you do the opposite” and treat all workers as company employees. The cases are Lee v. Postmates Inc., Cal. Super. Ct., No. CGC-18-566394, complaint filed 5/8/18; Talbot v. Lyft Inc., Cal. Super. Ct., No. CGC-18-566392, complaint filed 5/8/18.